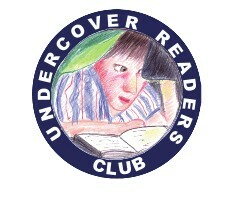 Welcome to Sophie, who is a member of our Undercover Readers Club and our guest reviewer today! Ghost Club: The Haunted School is a ghost story where you never know what will come around the corner. This is one of the few stories that will get you down on your knees pleading for more. If you were to read this, you will come to accept that people make some big mistakes in life, some so big you can never make up for them. I love this book. I might have read more complicated books, but this one is right up there on my list of fabulous books. It does not go on for so long that you find yourself asking mum if you can tidy up the whole house. I love this book because it has a ghostly theme, it explains the characters’ emotions and it gives you a real picture of what the characters look like. This book does not have illustrations. It does not need them. It tells the story extremely well without them. I personally think that a book with illustrations spoils your imagination as you don’t give yourself a picture of what YOU think that particular character looks like. I think that this wonderful book would suit both girls and boys. Ghosts are not just for boys! * Sophie is a member of our Undercover Readers Club. (Download information about the club on the magazine’s website.) 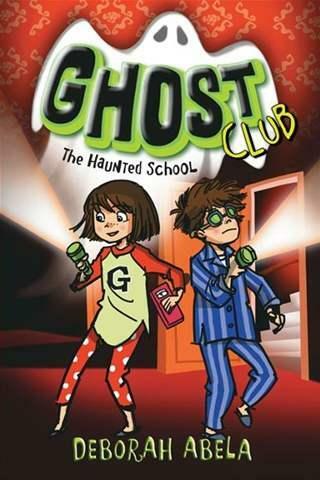 A review copy of Ghost Club: The Haunted School was provided by Random House Australia. Sophie, I love the way you intrigued us and also added so much of your own “voice” to the review. PS I am 100 minus …well, a lot… and I think I would like Ghost Club too!